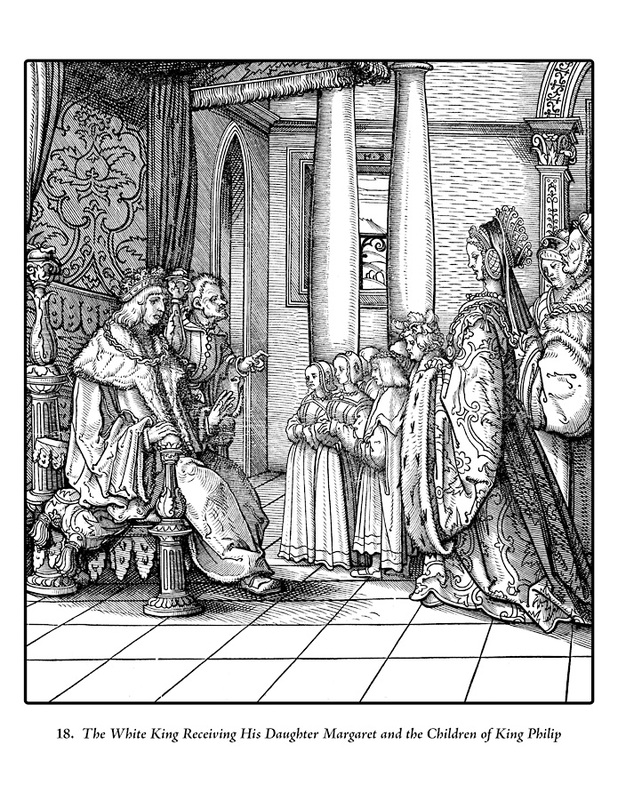 German Renaissance artist Hans Burgkmair the Elder (1473–1531) is primarily known for his works commissioned by Holy Roman Emperor Maximilian I (1459–1519). 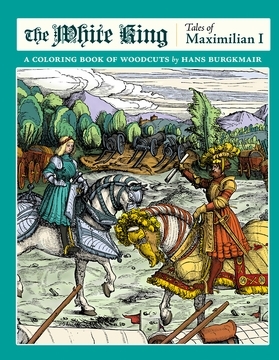 In the chivalric novel The White King (or Der Weiss König, as it was originally titled in German), Burgkmair produced more than two hundred woodcuts chronicling important moments in Maximilian’s life, from birth to old age. It was an immense task, completed between 1514 and 1516, and required the help of fellow German artists Leonhard Beck (c. 1480–1542), Hans Schäufelein (c. 1480–1540), and Hans Springinklee (c. 1490–c. 1540). 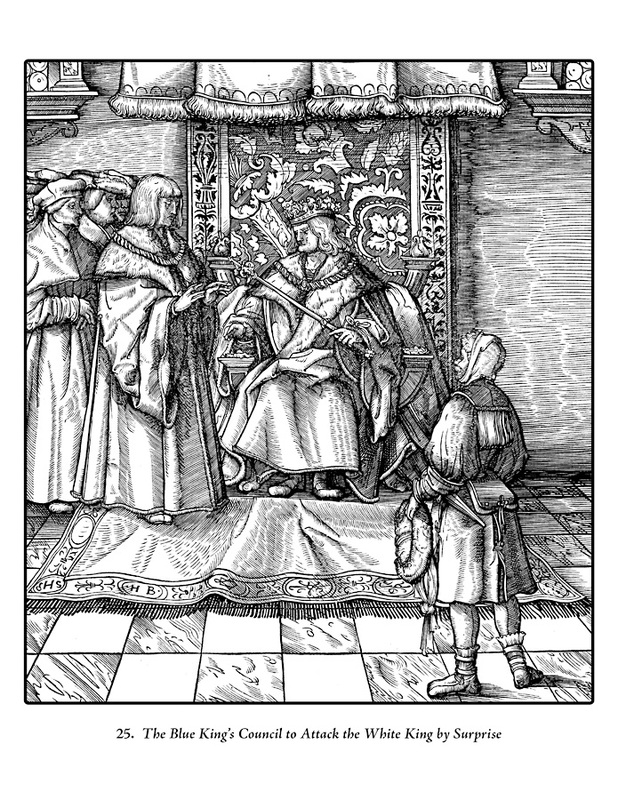 Marx Treitzsaurwein (1450–1527), the emperor’s secretary, wrote the story, though Maximilian dictated some of the text. 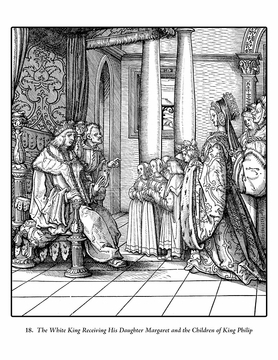 Throughout the novel, the protagonist wasn’t directly identified as Maximilian; instead he was referred to as the White King and his father as the Old White King. 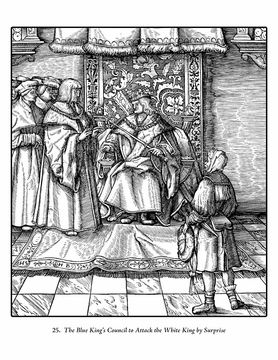 The story stretched the truth about Maximilian’s life, a fault Treitzsaurwein should be forgiven, as it was probably best to put a positive spin on history when writing about the king. The book was not completed in Maximilian’s lifetime and wasn’t formally published until 1775. 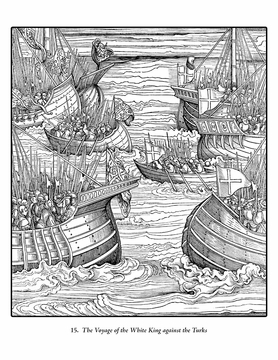 Of the original woodcuts, a significant number depict epic battles and sieges, conquests and surrenders, or diplomatic meetings of kings and queens. 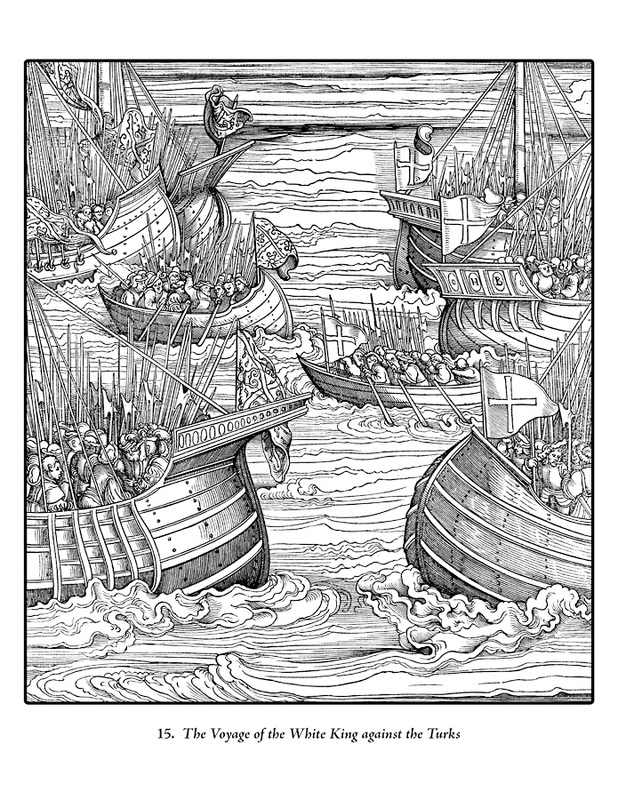 Many of the scenes show the young Maximilian in tactical training: learning to fire a bow, handle a sword, or secure a battle camp. Reproduced here is a carefully selected set of twenty-five of these woodcuts, ordered chronologically as they appear in the 1775 publication. While you enjoy the images and add your own color to them, look for the engraved initials “H.B.” hidden on armor, artillery, blades, boats, furnishings, and facades—standing, of course, for the emperor’s artist, Hans Burgkmair.